Now that the days are getting brighter, and summer is approaching, you might find yourself thinking of ways to improve your health & fitness – and you may even be thinking of that bikini or those shorts you’d love to be able to wear at the beach without embarrassment…. So here are some ways in which you can utilise your constant companion, that smartphone, in this quest! So where have I been…? 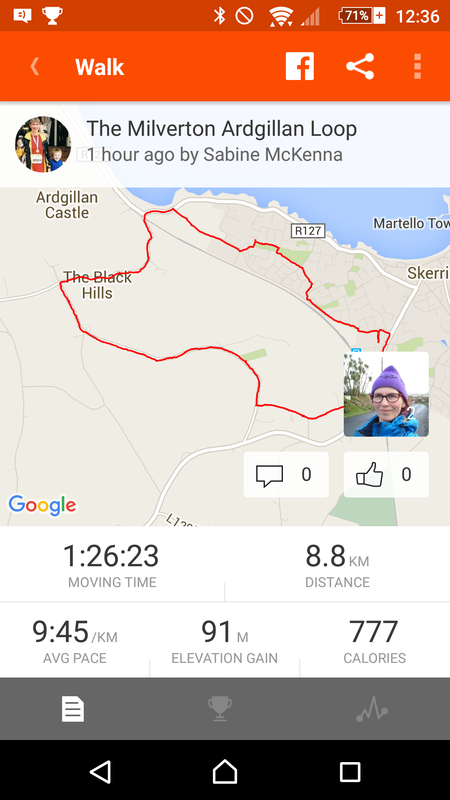 Personally, I swear by tracking all my walks (and runs and – though rare – cycles) using a fitness app called Strava. Strava was originally aimed at athletes in training, and allows you to link it to a heart-rate monitor using Bluetooth. This means that, if running or cycling, you can analyse your activity level afterwards, and also see your speed and heart rate for any point of your walk. Do you remember Count Count from Sesame Street? He was one of my favourites. I love keeping track of things, and since I discovered Strava for tracking walks, runs, cycles, and much more, I haven’t looked back. The free version is enough to get you started (and, as in my case, probably hooked, if you’re that type of person). 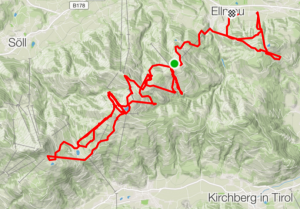 What I like most about Strava is that it records where I go, and lets me draw red lines on maps by simply walking around. To me, that is hugely motivating. A loop walk from our house in Kelly’s Bay via Skerries Rock, Townparks, Dublin Road out the Dublin Road, up towards Milverton, past Ardla Cemetery and the gates of Ardgillan, down to the sea and back via Barnageeragh to our house is 8.8 km and includes going up and down 91 m in total. Who would have thought! You can add comments and photographs, and it builds up to a wonderful collection of tracked wanderings. I must admit that I am much more likely to take an extra walk, especially when abroad, just to create another entry in my personal time line! You can share your data with “friends,” connect with others, write comments, like people’s efforts and follow them etc. – which isn’t what I do, as it’s enough for me to see for myself what and how I’m doing, but many others love that aspect. 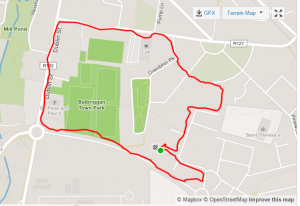 Another great thing is that when I’m in a new place – like recently, when I went on a walk in an area of Balbriggan I had never seen before – I can see where I am while I’m walking, if switching to Map View. 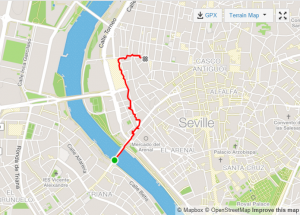 I like walking for a certain amount of time, say 15 minutes, and then turning round and retracing my steps – but as my sense of orientation isn’t always great, it helps being able to see the line on the Strava map, and just making sure that the bleeping dot that indicates where I am stays on that blue line. That way, I’ll certainly find back to my car without too many difficulties! 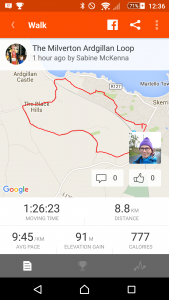 Strava can be set to a large number of sports, including skiing, mountain biking, etc. ; it’s optimised for cycling and running. For those, you can even specify which bike / pair of shoes you are using (and they let you know when they think it’s time to replace them, too). Get in that extra walk. This blog article is based on my monthly column on all things digital in the March 11, 2016 edition of Skerries News.